Blackberry 10 is (Finally) Here, Should App Developers Take the Plunge? Over 40 billion apps have been downloaded since Apple opened its iOS App Store in 2008. More than 20 billion have been downloaded in just the past year. There are over 750,000 apps now available for your iPhone and iPad – and Apple has over 500 million “active” iTunes accounts. That’s a lot of apps and a lot of eager. The numbers for Google Play and Android app stores are similar. Which begs the question: should you even bother with Blackberry? For many of you, the answer is a definite yes. Blackberry has now officially launched “BlackBerry 10”, the company’s new operating system and app platform. The sleek, new devices running on this new OS, including full touchscreen smartphones, will be available soon. Opportunity beckons – with caveats. 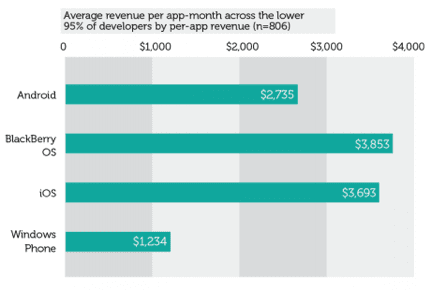 Last summer, GigaOm compared average monthly revenues for app developers across platforms. They found that average monthly revenues from a BlackBerry app was higher than iOS, $3,853 versus $3,693. Android trailed well behind at $2,735. That said, the same study found that more than half of all BlackBerry developers made less than $500 a month on their app, compared to just 35% for iOS developers. In other words, the more ‘successful’ developers make more money on BlackBerry, but fewer reach that ‘success threshold’. However, this is mitigated by the fact that the study revealed that the cost for developing for BlackBerry is significantly lower. The typical BlackBerry app costs $15,000 to bring to market. Android costs nearly $23,000 and iOS the most at $27,500. Nonetheless, the larger question remains, should you develop for Blackberry 10? Will the platform thrive? Survive? Already, Apple’s iOS and Google’s Android are selling just over 90% of all smartphones. BlackBerry, along with Windows Phone, is now competing for a distant third place. With Microsoft’s backing, perhaps Windows Phone is a safer choice? Each developer must make their own decision, of course. However, reviews of BlackBerry 10 have been quite good. Numerous analysts have noted that Blackberry 10 is a solid OS and the devices should rival iPhone, Windows Phone and high-end Android smartphones. 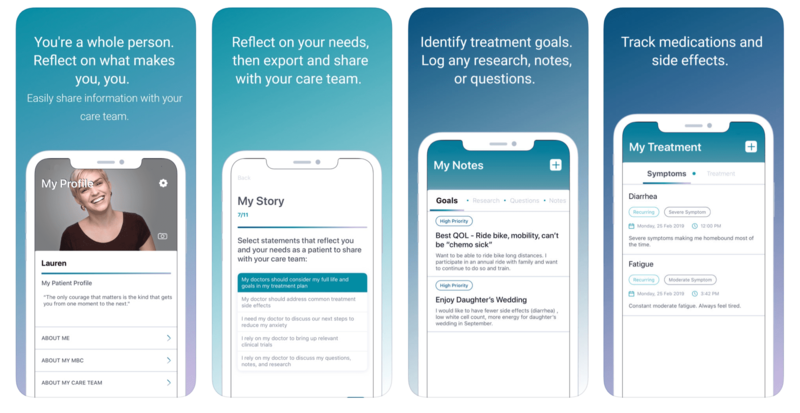 In addition, Blackberry is very publicly courting developers and developer support and is moving aggressively to make the app and media store, BlackBerry World, a legitimate success. The webstore already looks good, in fact. There is also a promise of additional and continued support for developers. RIM, Blackberry’s parent, recently said they will pay developers $100 per submitted app – provided it receives approval. The company is also helping developers to port their existing apps to BlackBerry 10. There are at least 70,000 apps available at “BB10” launch – far more than at Windows Phone launch. The company has also courted larger media entities, including Fox Sports and China’s Baidu, another indication of how serious they are to make the platform and “BlackBerry World” a success. At launch, video downloads will be available in the US, UK and Canada, with films from nearly every major film and television studio in these countries. Music will be available in at least 18 countries. Again, covering most major record labels. EA will offer games. The major social platforms, including Twitter, Facebook and LinkedIn, are already on board. Amazon and Netflix, however, are not on the platform – a reminder that BB10 is not yet at the level of iOS or Android. BlackBerry users have long been among the world’s most loyal. They earned the moniker, “crackberry addict”. Blackberry users are also known to spend money on apps and services. Blackberry has long offered solid support for carrier billing and payment. These are all good signs. There is no guarantee that the new platform will generate such loyalty, of course. BlackBerry, however, appears to be doing what it can to encourage developers to embrace the platform in the hopes of re-igniting their past glory. BlackBerry also continues to be among the most preferred mobile platforms for larger enterprise and government settings. This presents yet another opportunity for app developers. Only time will tell whether BlackBerry 10 succeeds in rescuing RIM from irrelevance, however regardless of the ultimate direction of the platform, the BlackBerry ecosystem is poised to receive a massive jolt of energy that will open up perhaps the last lucrative green field opportunity in mobile computing for app developers. What are your thoughts on the BlackBerry 10? Let us know in the comments below.